For 40 years in the cosmetics market, being 12 in Brazil, Ruby Rose aims to offer its consumers products of excellent quality at a fair price. Always looking for trends of worldwide success to inspire and elevate women's self esteem. Magento Development Company: Askme Technologies is one of the leading eCommerce website development company in India. The current company’s product portfolio lists dozens of solutions designed to enhance the platform’s functionality, and gear up a Magento-based business for success. Also, Askme Technologies offers a wide range of Magento and eCommerce services, including SEO, design, analytics, and a recently launched full-cycle migration from older version to Magento 1.9 or Magento 2. 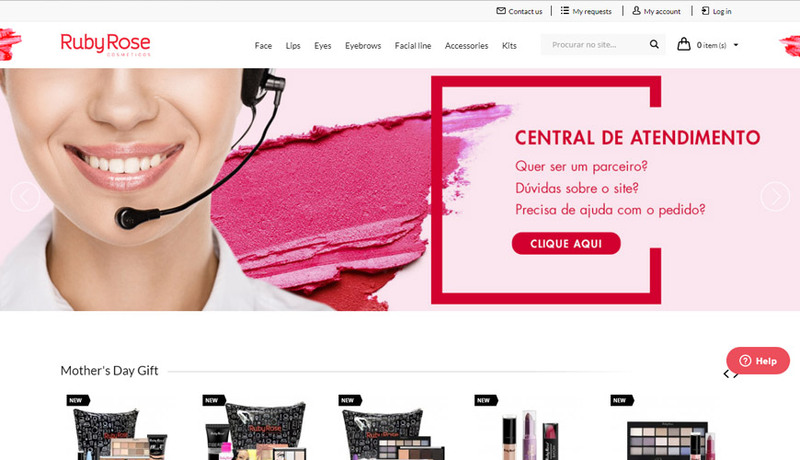 This case study details the strategy Askme Technolgies used to transfer the https://www.rubyrosemaquiagem.com.br/ store to Magento 1.9 and thoroughly describes each stage of the process. At that moment, not all of the extensions installed on the client’s Magento 1.9 website had exactly the same functionality as their Magento 1.5 versions. Some features were yet to be added by the extension providers, and some were just missing (with no development ETA). However, the combination of improved Magento 1.9 functionality and the chosen extensions was enough for the main client’s needs. To minimize potential SEO risks of migrating a website to Magento 1.9, the client ordered an additional service related to digital marketing activities. Our SEO team has done complete analysis of website and the set up the client’s Webmaster Tools account to preserve the current site SEO value. Thinking to migrate to Magento 1.9/2.00? Contact us for help and professional assistance!